The Pakistani government engaged in a clandestine effort to influence American policy toward the disputed Kashmir region that goes back more than 20 years and has cost millions of dollars, federal prosecutors say. 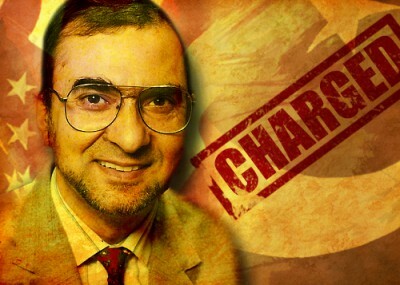 In charging Syed Ghulam Nabi Fai, director of the Kashmiri American Council (KAC), with failing to register as an agent of a foreign government and conspiring to hide his connections to Pakistan, prosecutors detailed a scheme that involved significant political campaign contributions, lobbying and public relations efforts which were orchestrated and funded by Pakistan's powerful military intelligence service known as the ISI. "Mr. Fai is accused of a decades-long scheme with one purpose – to hide Pakistan's involvement behind his efforts to influence the U.S. government's position on Kashmir," said Neil MacBride, U.S. Attorney for the Eastern District of Virginia. The hotly contested region of Kashmir has been a flashpoint between India and Pakistan for more than fifty years, sparking four bloody wars. It has also been a rallying cry for South Asian jihadists waging war against India. Fai incorporated the KAC in 1990, records show. But most of the money that went into the council came from Pakistan, routed through a series of "straw donors," an affidavit by FBI Special Agent Sarah Webb Linden said. That support totaled more than $4 million over the years, including some years in which $500,000 was spent on programs, public relations campaigns and political contributions. Nearly all of the statements made by Fai or the Kashmiri center were written by the ISI, a confidential witness told investigators. Only about 20 percent of the KAC's message came from "Fai's own ideas, which have been pre-approved by the ISI but not provided by them." Fai denied having any connections to the Pakistani government or the ISI during a March 2007 interview with the FBI. In response to a March 2010 letter from the Department of Justice (DOJ) notifying Fai to register as an agent of Pakistan under the Foreign Agents Registration Act ("FARA"), he said, "KAC or I never engaged in any activities or provided any services to any foreign entity." Fai further argued that KAC was not lobbying, but engaging in public relations. FARA, however, requires registration if public relations are conducted on behalf of the Pakistani government, the complaint said. According to tax records, the KAC is a sister organization to a lobbying arm called the Kashmiri American Foundation, located at the same office, and sharing employees and other resources. Also charged in the conspiracy was a second man Zaheer Ahmad, an American citizen living in Pakistan. The complaint alleged that Ahmad helped transfer money coming from the Pakistani government to Fai through straw donors operating businesses and charities. The charges come just weeks after prosecutors in Chicago presented evidence tying the ISI to the 2008 Mumbai terrorist attacks. Two months ago, U.S. Navy SEALs killed Osama bin Laden in a Pakistani compound, prompting suspicion that the al-Qaida commander enjoyed government protection. The Fai complaint cites a cooperating witness who told investigators that he helped Ahmad transfer several hundred thousand dollars to Fai. The witness told authorities that Ahmad had confided in him that the funds came from the ISI and were to be used for the "Kashmir cause and for lobbying." According to the complaint, KAC is one of three "Kashmir Centers" run by elements of the Pakistani government, including the ISI. The other two centers are located in London and Brussels. KAC strategy documents discovered by federal investigators describe "plans to provide information to Executive Branch officials, use Congress to highlight the issue of Kashmir, offset the Indian lobby, and increase political pressure on both the U.S. administration and the Government of India." Documents also detail budgets for KAC lobbying efforts that included allocations ranging between $80,000 and $100,000 annually for "campaign contributions to members of Congress, conferences, seminars, opinion pieces to be distributed to newspapers, and Congressional trips to Kashmir." In her affidavit, Linden notes that there is no evidence that any of the politicians knew the money traced back to Pakistan. Fai contributed $5,000 to U.S. Rep. Dan Burton, R-Indiana, over the years, records show. He gave $4,500 to the National Republican Senatorial Committee in 2004 and 2008 and gave $250 to President Obama's 2008 campaign. He gave another $500 to New York Democrat Yvette Clarke, who is shown here speaking with Fai at the Tenth International Kashmir Peace Conference on Capitol Hill in July 2009. The conference was sponsored by KAC and hosted senior ISI officials who were also believed to be Fai's handlers. A meeting between Fai and his ISI handlers following the conference that was monitored by federal investigators reaffirmed KAC's lobbying in the U.S., Linden wrote. It also established Fai's contacts with U.S. and Pakistani politicians, including with the Pakistani Embassy in Washington, D.C.
Fai garnered influence despite the fact that Indian officials linked him and his organization directly to the government of Pakistan as far back as the early 1990s. In addition, he has frequently appeared at various national and local conferences sponsored by American Islamist groups as a featured guest, moderator, and panelist on topics related to Kashmir. In 1990, he spoke at "a mass meeting" on Palestine and Kashmir organized by the Islamic Association for Palestine (IAP), which subsequently was identified as part of an American-based Hamas-support network. "The meeting began with a military display by a group of youth with their faces covered," said an account published in the August 1990 issue of the IAP's magazine Ila Filastin. "They raised flags embellished with 'There is no god, but God and Muhammad is the Messenger of God' and 'The Islamic Resistance Movement (Hamas).'" Then Fai went on to speak "about Jihad on the Islamic land of Kashmir against the infidel Indian occupation." Fai has also attended numerous other ISNA events over the years, including the group's 43rd Annual Convention, 46th Annual Convention, a 2010 joint event with the Islamic Society of Akron and Kent, and ISNA's most recent annual convention earlier this month. But U.S. Islamists aren't the only groups with whom Fai frequently worked. A Jan. 1998 report notes connections of a more overtly nefarious nature: working as a financial conduit for a group designated by Indian and European authorities as a terrorist organization, Hizbul Mujahideen. Ironically, both Fai and Thukar appear together on a panel discussing Kashmir alongside terrorist bedfellow, George Galloway, at the 2001 ISNA Convention noted earlier. Both Fai and Ahmad face a sentence of five years in prison if convicted.